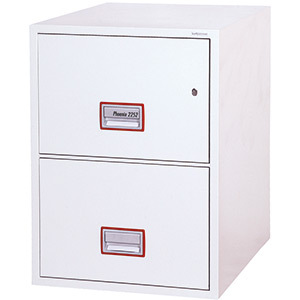 THE PHOENIX WORLD CLASS VERTICAL FIRE FILE FS2252K offers unrivalled protection for documents and data in a stylish modern filing cabinet format. 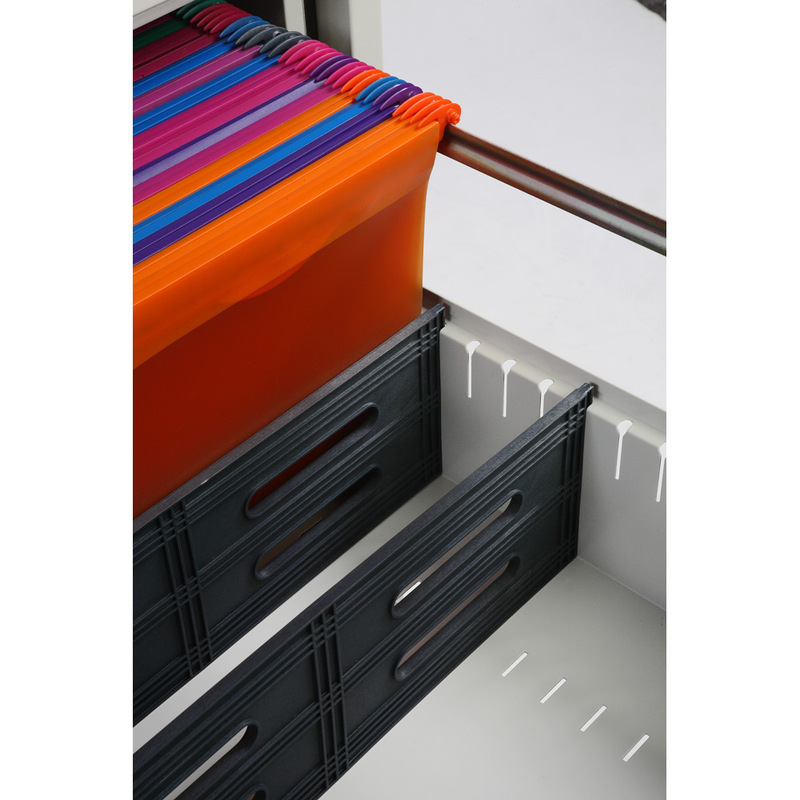 Ultra lightweight insulation materials mean the cabinet can be used on most standard floors without the need for support. 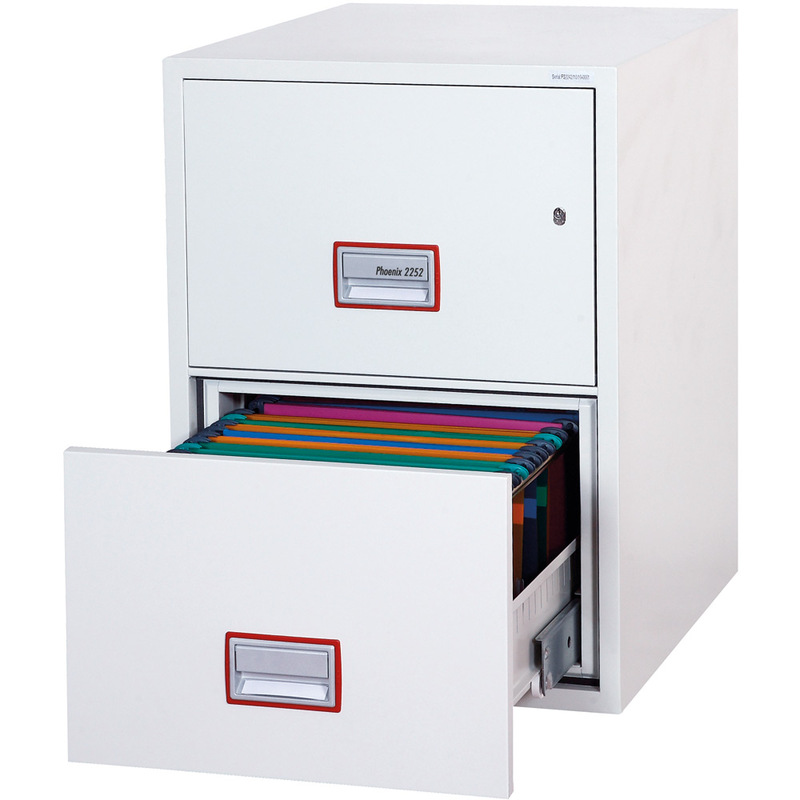 FIRE PROTECTION (PAPER) - 90 minutes fire protection for paper documents. 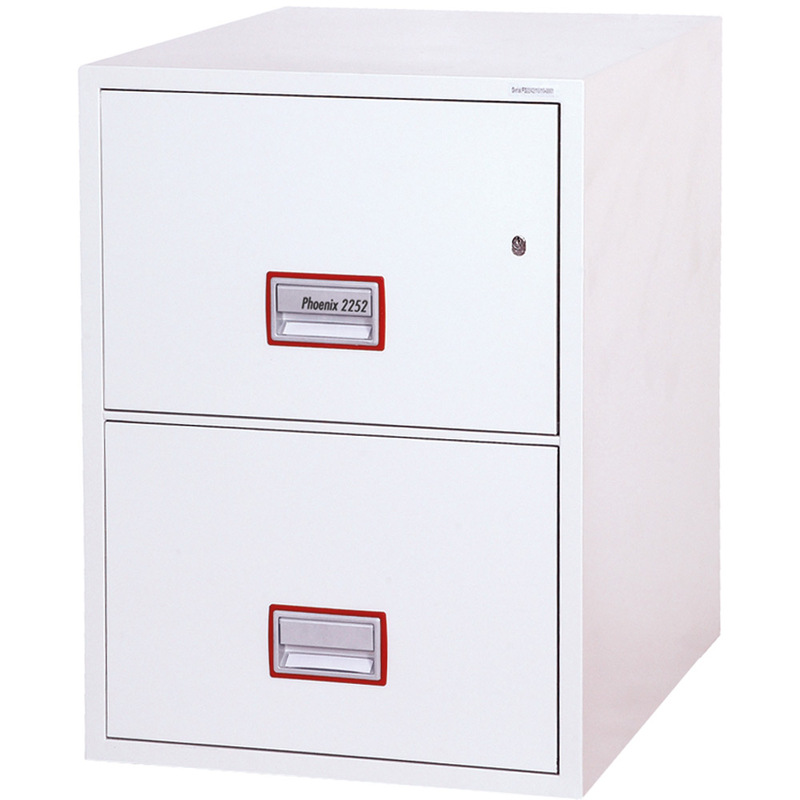 FIRE PROTECTION (DATA) - 90 minutes fire protection for Computer tapes and data if optional FSDPI08 is used. FIRE PROTECTION (DIGITAL MEDIA) - Tested to MTC - DIP120 - 60DM fire test standard, providing 60 minutes fire protection for digital media, USB memory sticks and hard drives. 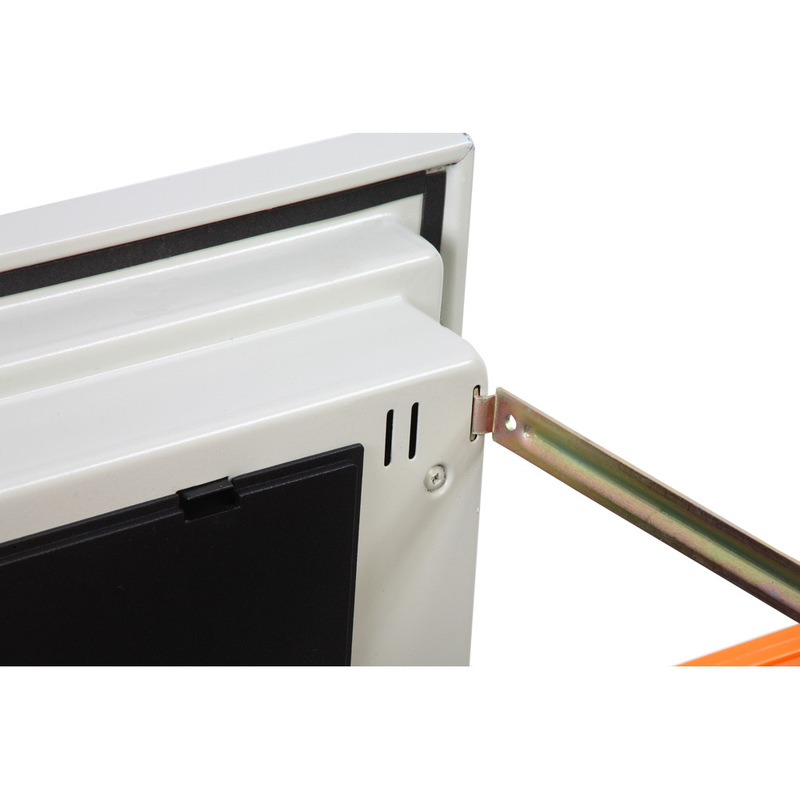 WATER RESISTANCE - Water resistant seals prevent water damage to contents when cabinet is subjected to sprinklers systems or fire hoses. DROP TEST - Fire and impact tested from 9.1 metres for resistance to the impact of falling through the burning floors of a building. 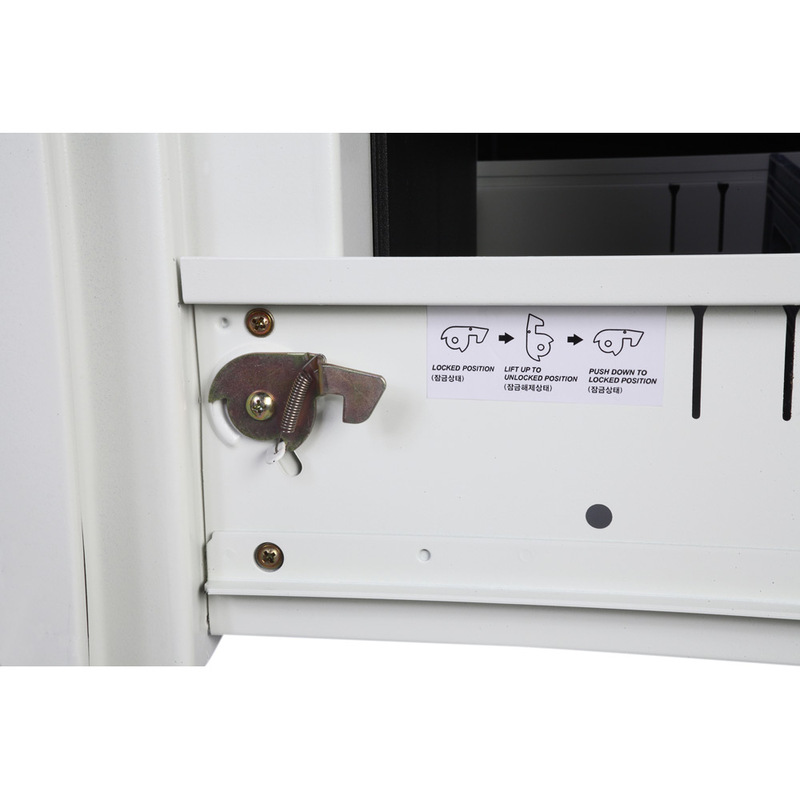 LOCKING - Fitted with a high quality key lock supplied with two keys. 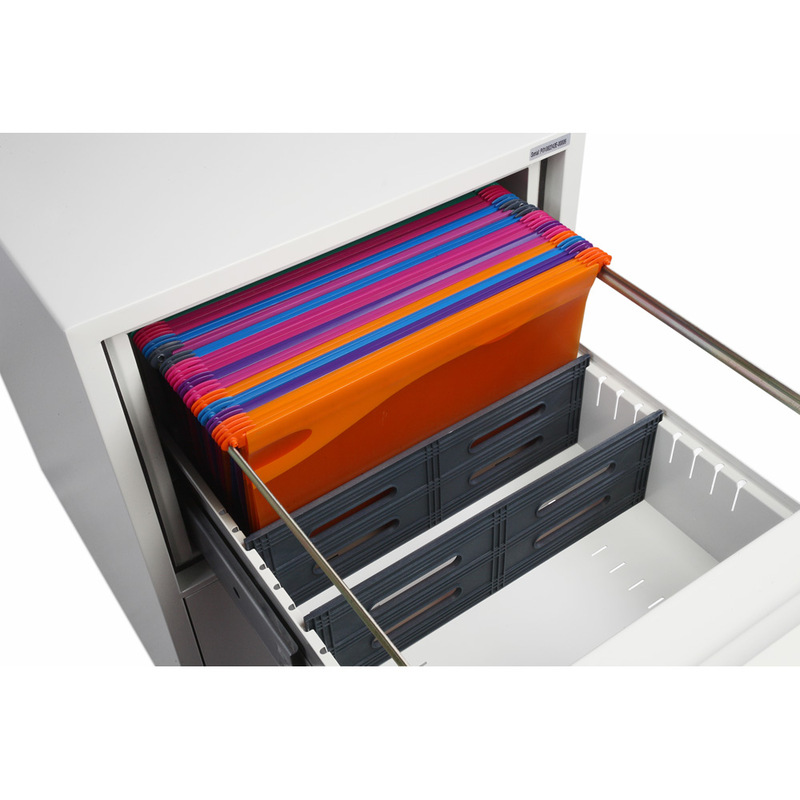 This lock operates independently on each drawer allowing for any combination of open or locked drawers. 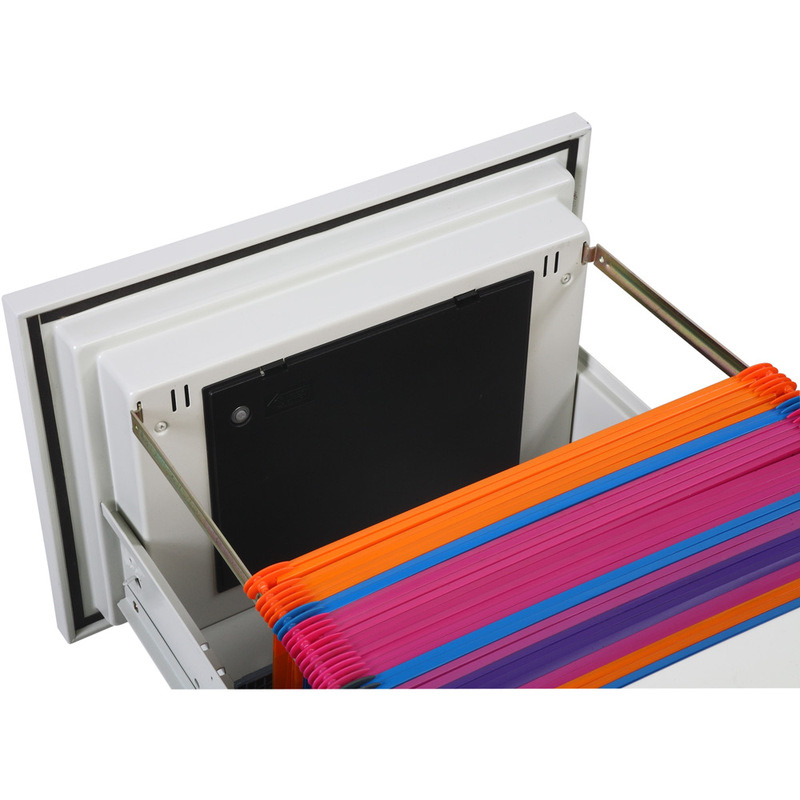 CAPACITY - Able to accommodate Foolscap, A4 and A5 files on width adjustable rails. 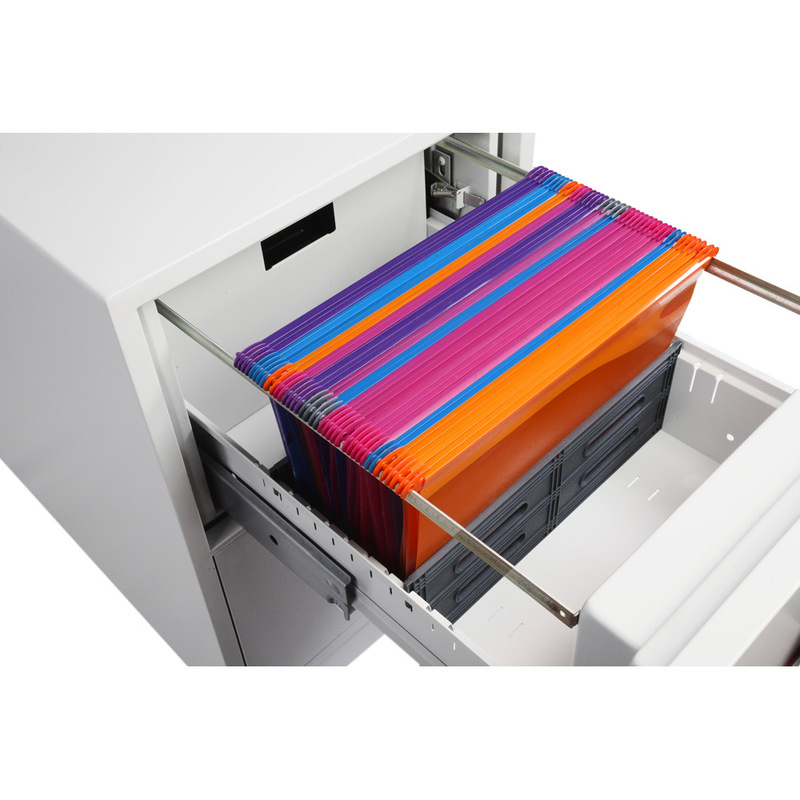 Compression plates are also supplied to maximise useable space. 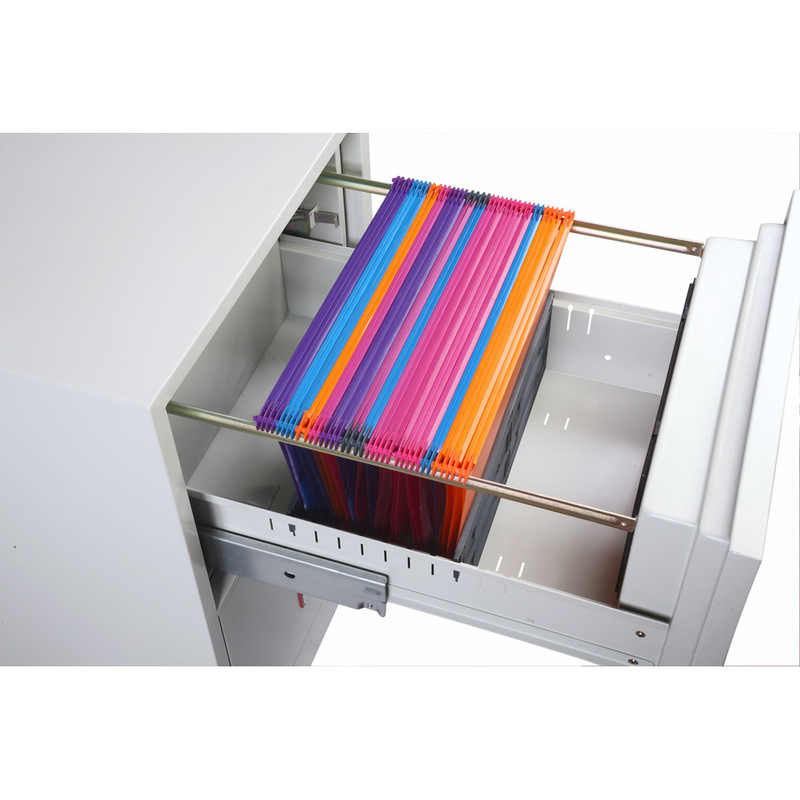 COLOUR - Finished in a high quality scratch resistant paint RAL9003 White.